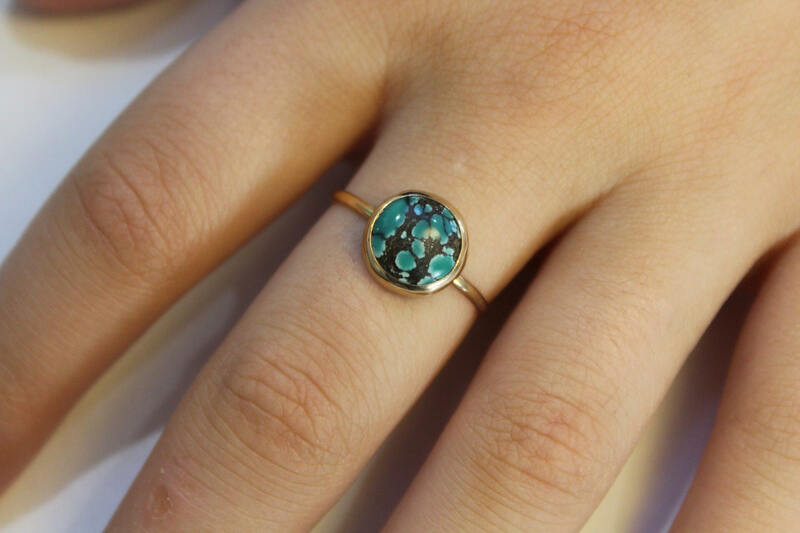 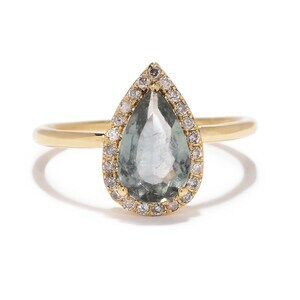 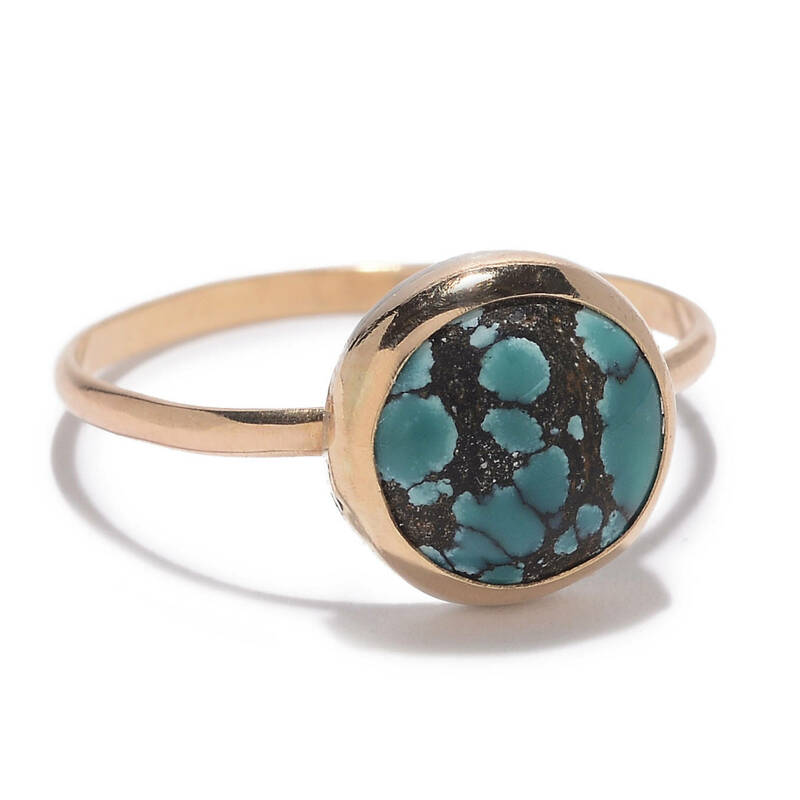 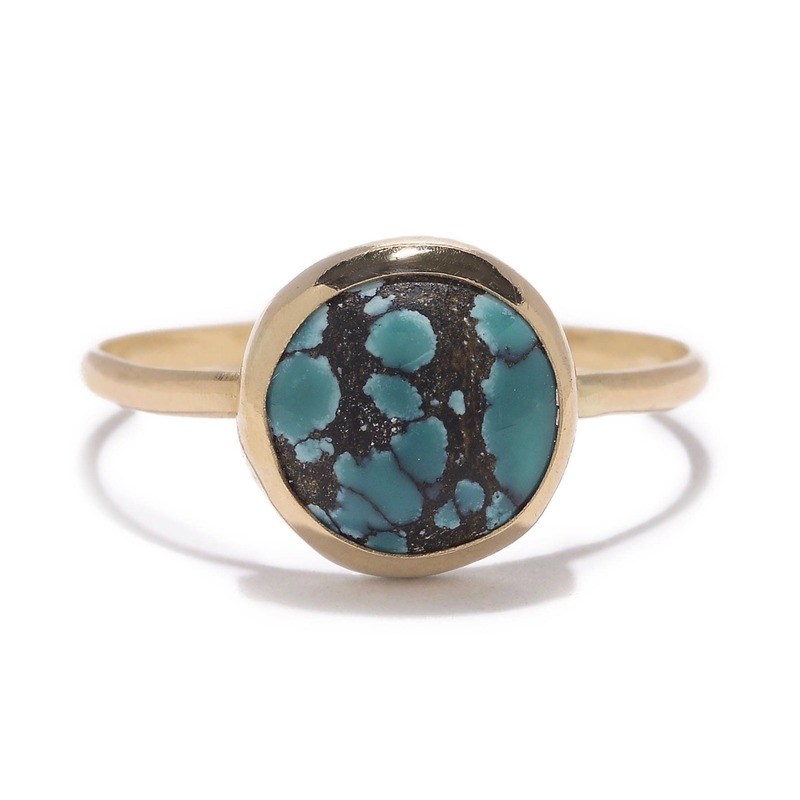 This one of a kind ring, size 9, features a round turquoise bezel set in 14K yellow gold. 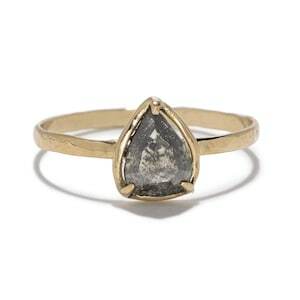 The backing is sterling silver to keep down weight and price. 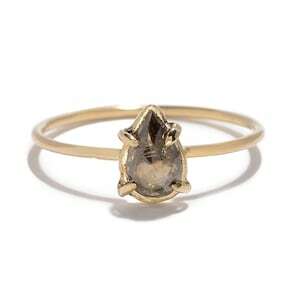 Setting & stone is 10.5mm round, band is 1.5mm. 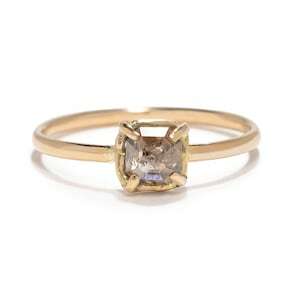 -Can be resized up or down two sizes.